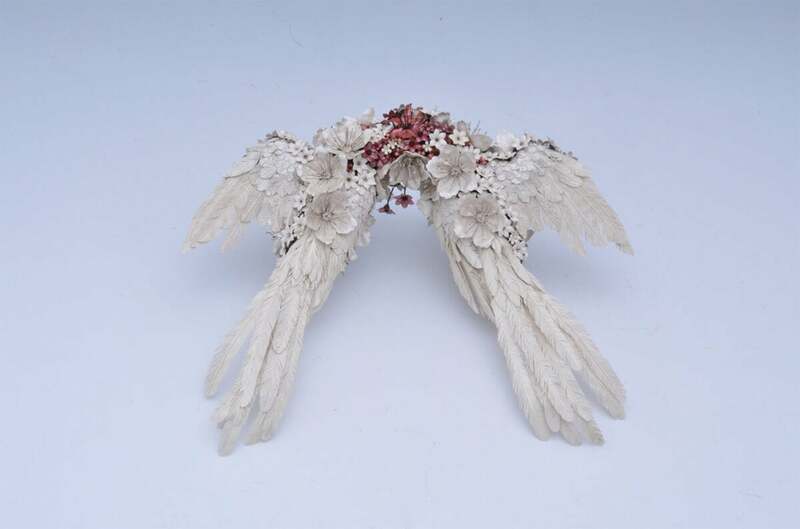 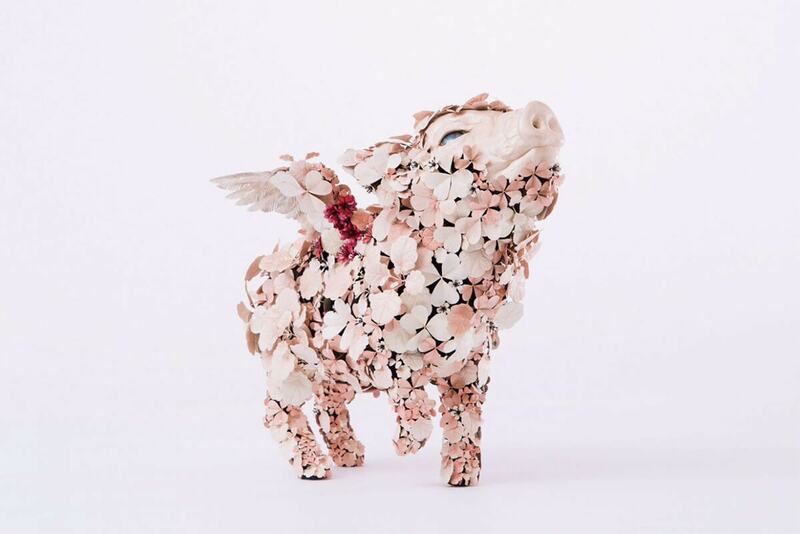 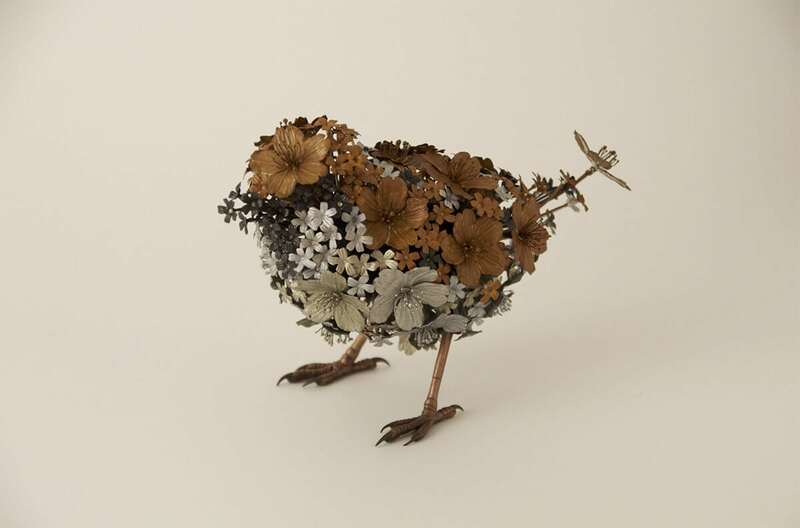 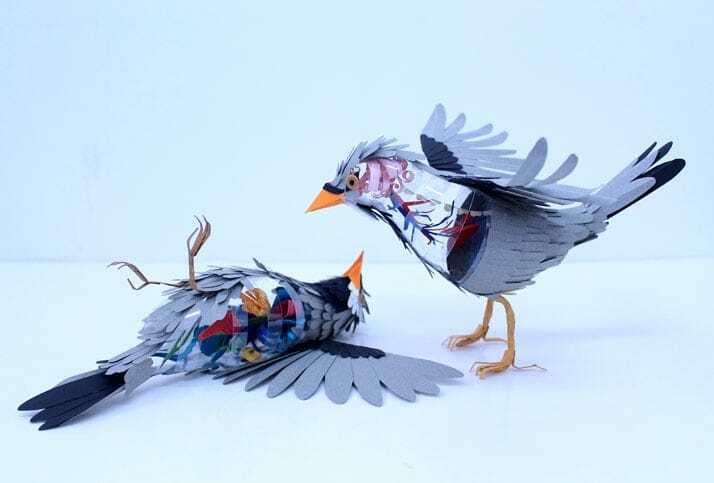 Artist Taiichiro Yoshida creates the delicate wings of birds along with fluffy fur of mammals from a variety of sculpted metal flowers of aluminum, bronze, or silver. 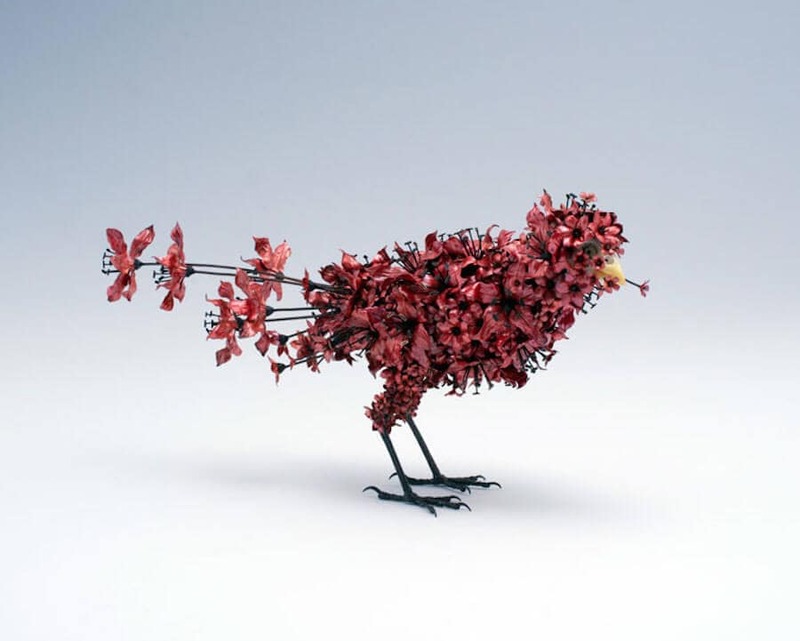 Decorative hot metalworking in Japan is regarded as an early technique, beginning sometime in the 2-3rd century BC. 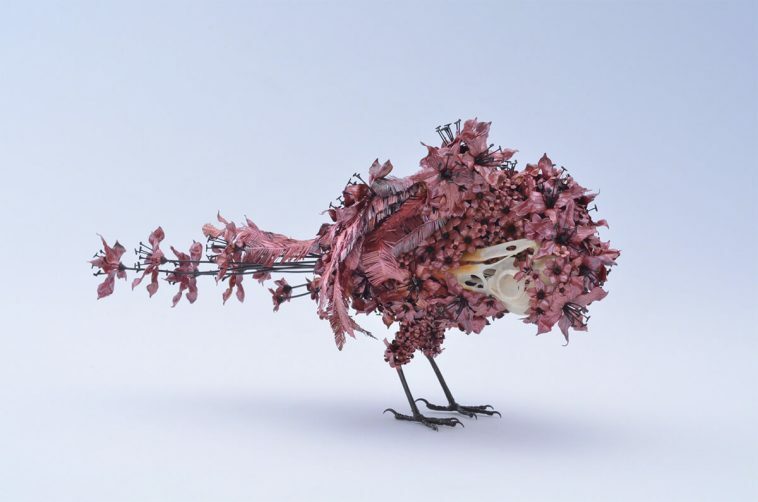 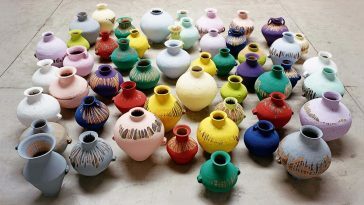 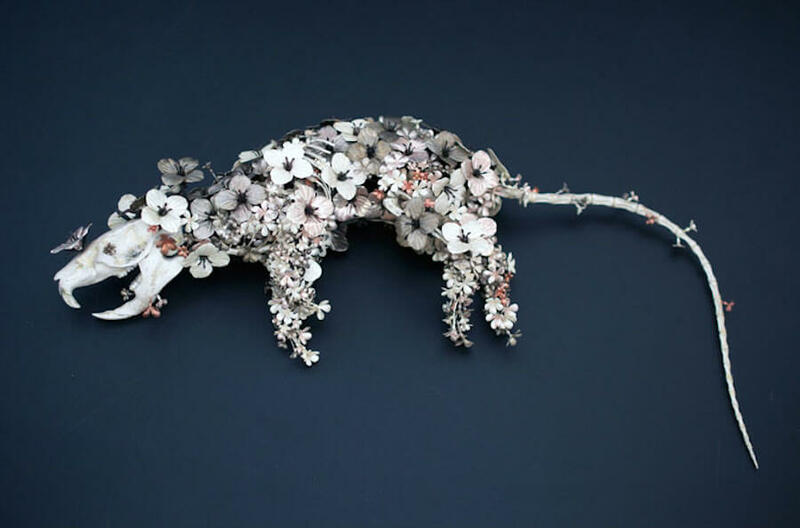 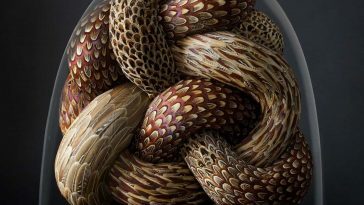 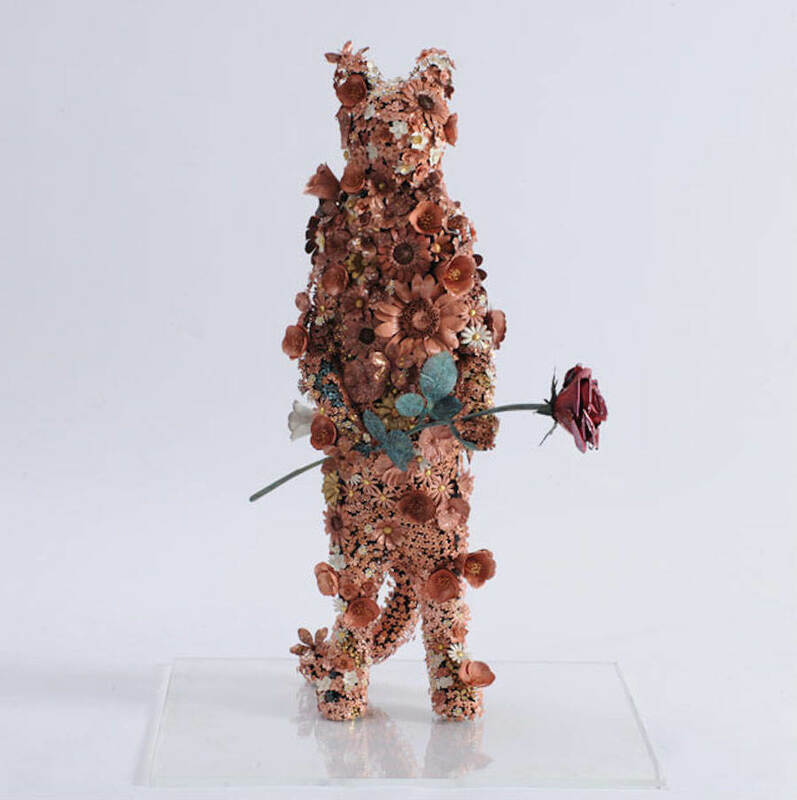 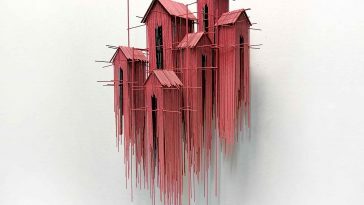 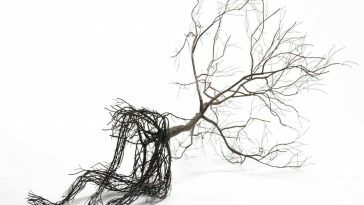 Yoshida accomplishes the fragile nature of every piece through smithing, where the hot metal is delicately beaten and then assembled into blooms before being painted. 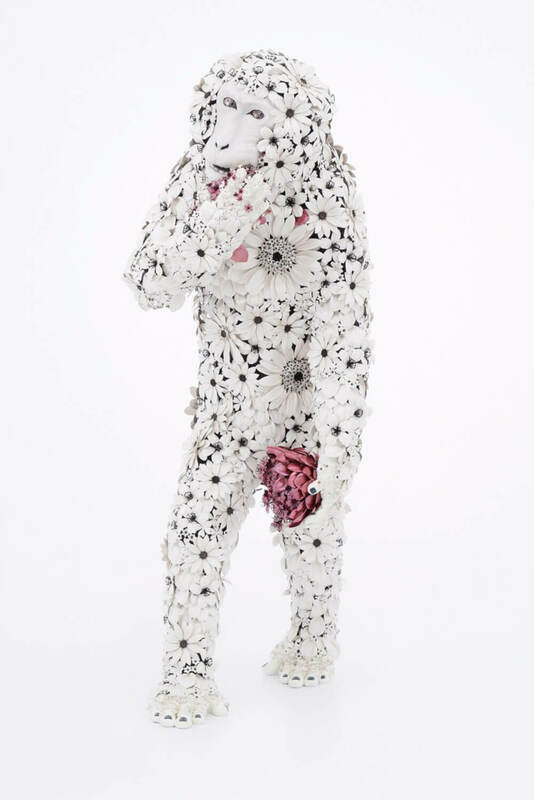 You may see more of his job on Artsy.